Cold Water Challenge from Chester County Supervisor candidate Shane Stuart in Kabul, Afghanistan, calling out elected officials to help with COTA donations. 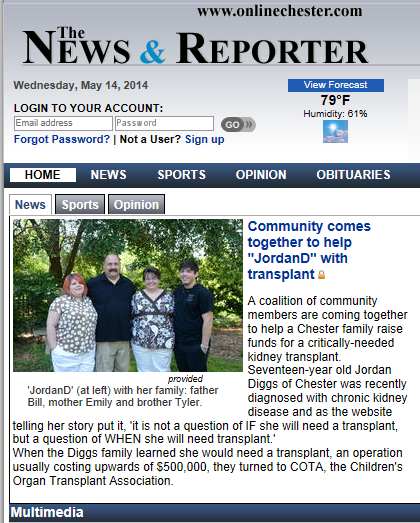 CN2 News in Rock Hill, South Carolina did an interview with Jordan and her mother today (5/12/14). It will be aired tonight at 6 pm and every 30 minutes there after on CN2 News, Rock Hill, The interview will also be available on the CN2 News website and facebook page. 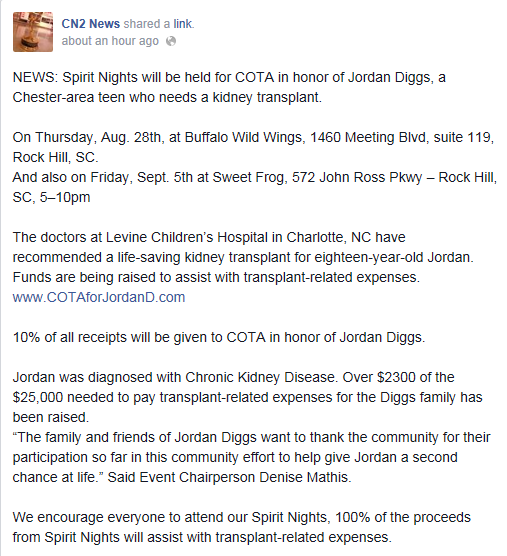 Article about COTA for JordanD on the Rock Hill Herald online "Living/Community" Section under "Fundraisers"